The case of the Saudi journalist’s alleged murder in Istanbul would finally be closed by paying petrodollars and holding some Saudi consulate staff accountable, says Mohsen Pakaein, a former Iranian ambassador to Azerbaijan Republic. Saudi journalist Jamal Khashoggi entered Saudi Arabia’s consulate in Istanbul on October 2 to obtain a document certifying he divorced his ex-wife, but he has not been seen since. 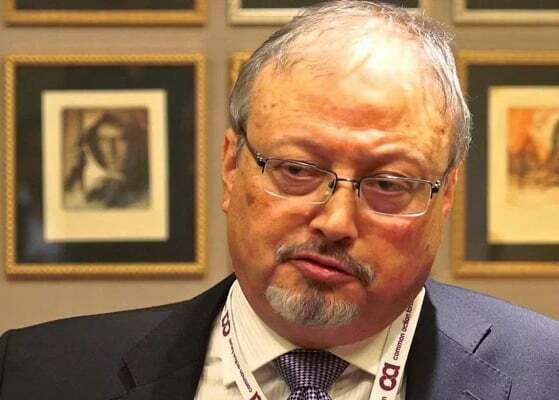 Turkish security officials claim that there is strong evidence that Khashoggi was killed inside the consulate and his body has been dismembered to be transferred outside. Saudi officials have countered the claim, asking Turkey to provide the necessary evidence to prove the allegations. Usually when security officials in a country confirm an incident and insist on their views, they should not be ignored. Particularly, with the advancement of intelligence systems, security officials can easily understand what is happening inside foreign embassies, or even they may have the sound record or image of the incident. Today, in many countries, especially NATO members, there are systems whose main task is to keep track of diplomats’ communications. These systems covertly watch the activities of foreign agencies. Thanks to the advancement of technology, modern-day supercomputers available to security agencies can tap mobile phones, fax machines, e-mails, and take satellite images; therefore, the Turkish authorities cannot be unaware of what has happened inside the consulate. Telephone conversations between King Salman and Recep Tayyip Erdogan and the deployment of head of intelligence of the kingdom Khaled al-Hamidan to investigate Khashoggi’s case, exchange of information with security officials in Turkey, and possibly receiving evidence related to the disappearance of Saudi journalist confirm the claims raised by Turkey. Of course, it is unlikely that the outcome of the talks between the security authorities of Turkey and Saudi Arabia will be publicly announced, and the aspects of the murder or abduction of the Saudi journalist is unlikely to be published, as Ankara and Riyadh may compromise over the case. Naturally, the Saudi government will try to use its petrodollars to mask the case just like the crisis of abducting Saad Hariri, the massacre of the defenceless Yemeni people, the execution of Sheikh Nimr, the Mina tragedy, the suppression of religious and academic characters, the imprisonment of Saudi princes at the Ritz Carlton hotel and confiscation of their wealth. Saudi officials will probably use one or two of the consulate General’s staff members as scapegoat and punish them to close the case. Today, with its extreme actions, Saudi Crown Prince Mohammed bin Salman has moved towards a kind of Trumpism, and in this path he has turned into a modern Arab fascist and racist. This approach is definitely a serious threat to the security of the countries of the region. The countries of the region, the advocates of human rights, the media, and all thinkers and journalists should not be ignorant of the extreme actions of Saudi rulers and take the necessary measures to deal with this danger.